Now you can truly caress your magical Apple devices, tenderly rubbing them in ways only known to you and your lover, Ms. iPad. 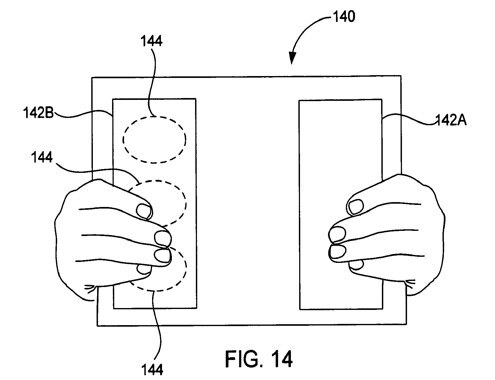 This patent shows a device enclosed in a touch-sensitive casing that allows users to access various features by touching non-traditional areas of the device. Yeah, I don’t know how this would work either. While I expect most devices to be very tactile and responsive in the future – that’s not hard to foresee. The real question is how tactile can you get without looking like a total freak.